Robin Rigby Fisher is an interior designer located in Portland, Oregon, specializing in kitchen and bath designs. 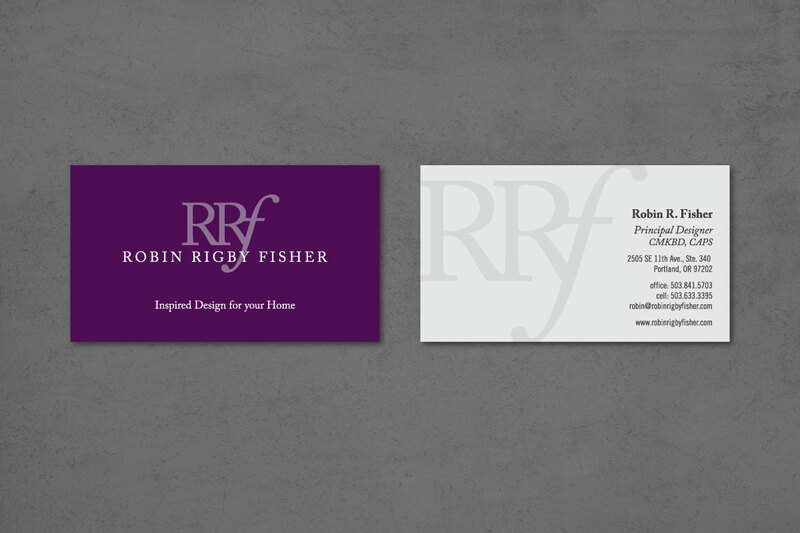 Robin wanted a brand identity and website to reflect her high-design sensibilities and to showcase examples of her work. We took Robin’s classic aesthetic with a modern flair to create the logo, which has the structure and weight of the upper case “R”s that flow into the elegant and whimsical lower-case “f” at the end. The deep purple exudes a richness and highlights the colors and textures of the natural materials Robin uses in her work. 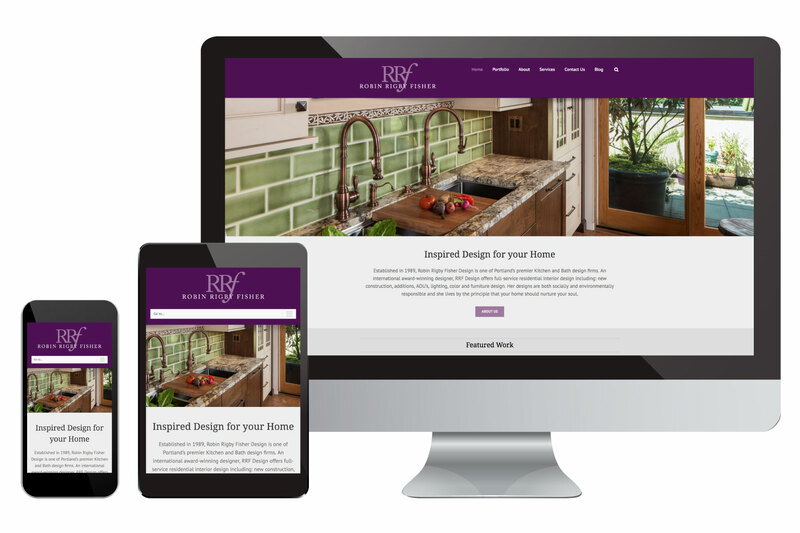 The website is built to showcase her designs and to inspire potential clients to contact her to learn more.